The information, models, drawing, illustrations, e- brochures, videos, photographs, and art renderings in www.livithomes.com represent artistic impressions only and the information contained herein, the fittings, finishes, features, floor (size, finish, and colour) and other display in the visuals, which are for general guidance only, and are subject to change. We have not authorized anyone to make any oral promises or assurances on our behalf with regard to the specifications of the apartments. Although www.livithomes.com attempts to ensure the integrity, correctness and authenticity of the site, it makes no guarantees whatsoever as to its completeness, correctness or accuracy. The owners, investors and its employees will not be liable for any losses or damages, monetary or otherwise, that result from actions taken after reading the contents published on www.livithomes.com. You are therefore requested to directly verify all details and aspects of any proposed booking/acquisition of units directly with our authorized sales team. Please contact 97446 22222, 97445 22222 for further information. At Livit Homes, we believe that every home we build should let its occupants celebrate life. Hence, we devote our heart and soul into the making of these homes. Each home is made to usher in lots of fresh air and natural light so that the residents feel refreshed and relaxed, always. , is being landscaped as an attractive garden punctuated with large shady green trees. 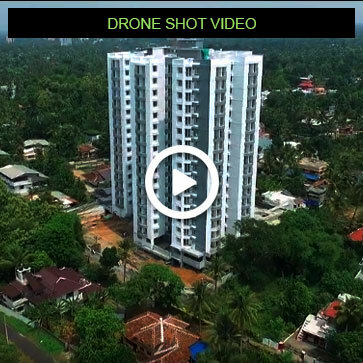 This may be one among the best Flats in Kochi surrounded by such an attractive landscape. You can have a peaceful life in Livit Harmony, the luxury Flats in Kochi.. These premium flats in Aluva, are now a lavish, yet affordable choice for home buyers who wish to have their residence in a gated community. 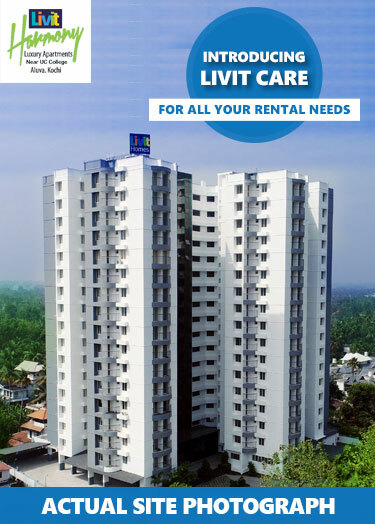 Livit Harmony Suites located at Aluva showcases a high standard of living with world class amenities. Being a premium flat in Aluva, Livit Harmony brings endless possibilities to explore premium amenities including Swimming Pool, Gym, Senior Citizen corner, kid's play area, beautiful landscape, club house etc. The easy accessibility to major cities are one amongst the prime attractions of Livit Harmony.